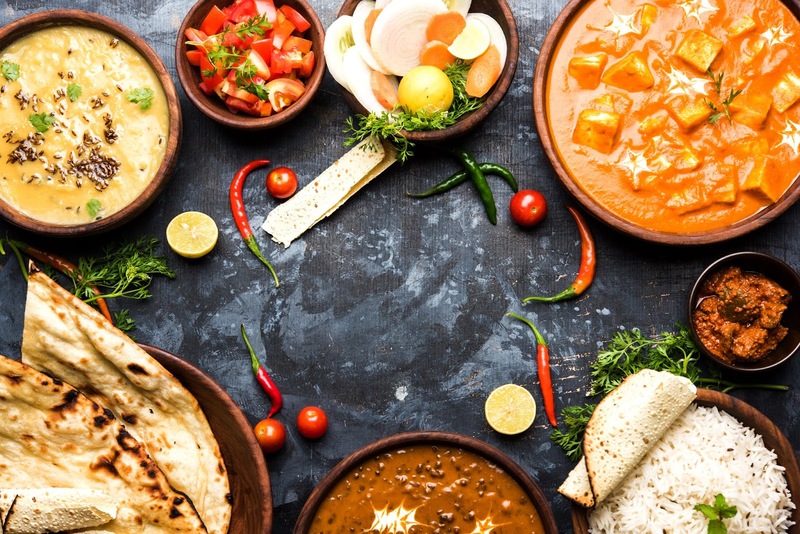 The "Punjab" as we know it today has had many facets attached to it, not just in terms of geography, but cuisine as well. As Chef Parvinder Bali mentions, there is much more to "Punjabi food" than just the popular dishes we know today. Punjab itself is divided into several "Punjabs" -the Royal Punjab,the most historic seat of royalty being Lahore, then there is the farmer's Punjab, agrarian community being pretty influential. Talking about Royal Punjab,during some part of the Mughal era & Maharaja Ranjit Singh’s time,the food had European influences, since his generals & some sections of the Barracks were European. Later all the smaller (as compared to Maharaja Ranjit Singh) Royalties - Nabha,Patiala,Kapurthala, etc,carried the same European infatuation in their lifestyles & kitchens. A true royal Punjabi cookbook would be incomplete without these dishes. Then we have the traders' Punjab, Lahore & Amritsar being major trade cities. Followed by Khatri Punjab, the Sufi Punjab & of course, Urban Punjab. And there's the fine line between Sindh & Punjab too. Old Punjabis will tell you that there's nothing called Punjabi food beyond Lahore. What we had in Indian Punjab was either the food of minor royalties, that was influenced by the west, the French & the British; or the peasant food. We eventually got a taste of Lahore, Karachi food post Independence, when they came here & adapted that food to our palate. That again cannot be termed Punjabi food! How would you then place Punjab in a bracket and say this is Punjabi food?! For eg, Sarson da saag is peasant Punjabi food. Karahi Paneer is a form of Karahi cooking that's typical of old Punjab, most of which is now in Pakistan. Amritsar being a major trade centre, traders from all over used to come in and settle down. Plus the pilgrim influx. So between the traders & the pilgrims, the dhabas as the quick vegetarian food source, became famous. The list isn't comprehensive, there's more to discover! In this day and age where we have begun to learn and appreciate Regional food rather than food defined by political boundaries, here's my small bit of gyaan to add to your food appreciation pages.. If I ask anyone from my or the previous generation about their happiest train memories, it would invariably involve the steam engine. As kids, one of the first sounds we mimicked was the Chuk chuk sound right? 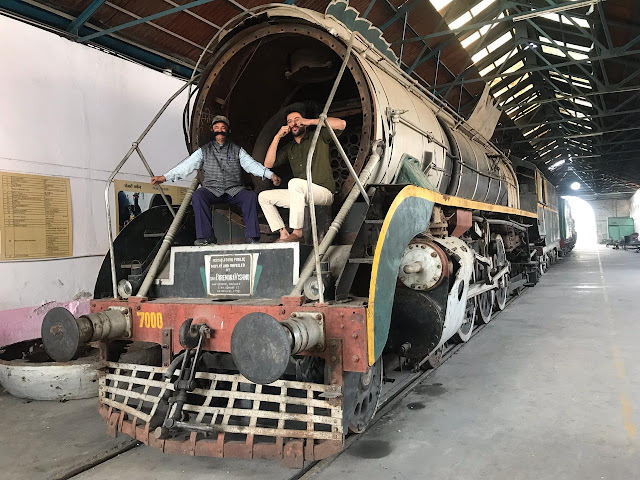 The whole idea of or emotion around traveling by train, or just going to the train station for me & many like me, was to look at the massive, awe-inspiring Steam engine & be caught unawares by its shrill whistle. Steam engines are a perfect example of sight, sound & smell. And a perfect part of our childhood memories. Let's talk about the classic - the Fairy Queen. First commissioned in 1855 & retired in 1909 it was showcased outside the Howrah station. In 1997, nearly 90 years later, the locomotive hit the tracks again. 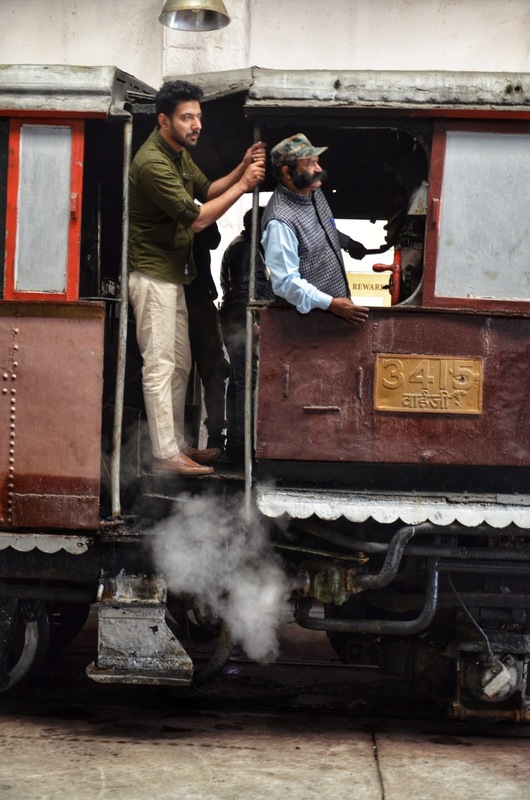 On 13th Jan 1998, it found its place in the Guinness Book of World Records as the world's oldest running locomotive. The Rewari loco shed is the only surviving repository of steam locos in our country. 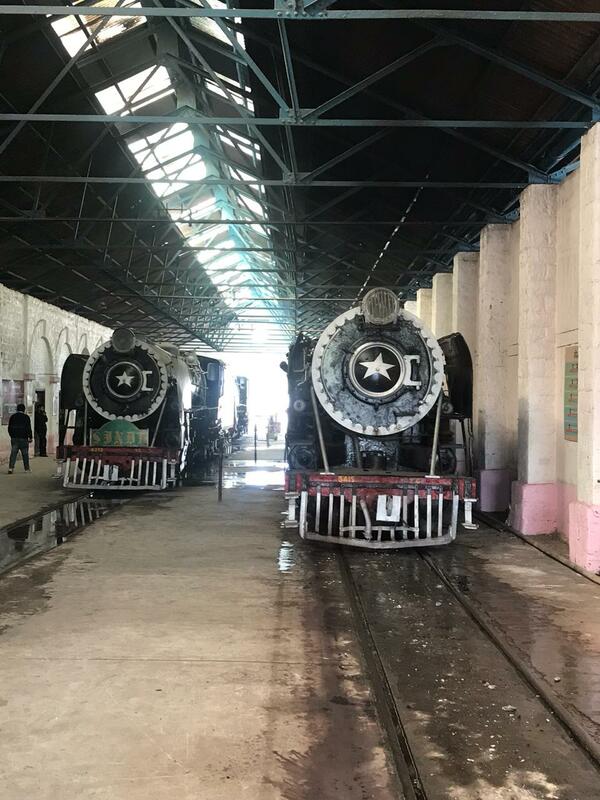 It's quite moving to reminisce that there were 1000s of these steam engines, that became a part of folklore, more importantly, our Independence & partition stories. The fact that the engines, that at one time "ran" the nation, now stand de-commissioned is slightly saddening. Thanks to our movies, however, some of them are still kept alive. Talking to the old engine drivers too, it was truly moving to hear their accounts & experiences with these machines. There's something so beautifully raw about the engines that it makes sense why the drivers had that connection with them. It does make one forget the inefficiencies of the steam engine & how electric engines took over as a cleaner, speedier mode of transportation. For me, re-visiting these engines brought back a connection that I'll cherish for life. It made me want to travel back to the time when man and machine were one, heat the fire, boil the water and get the engine going..as simple as that. 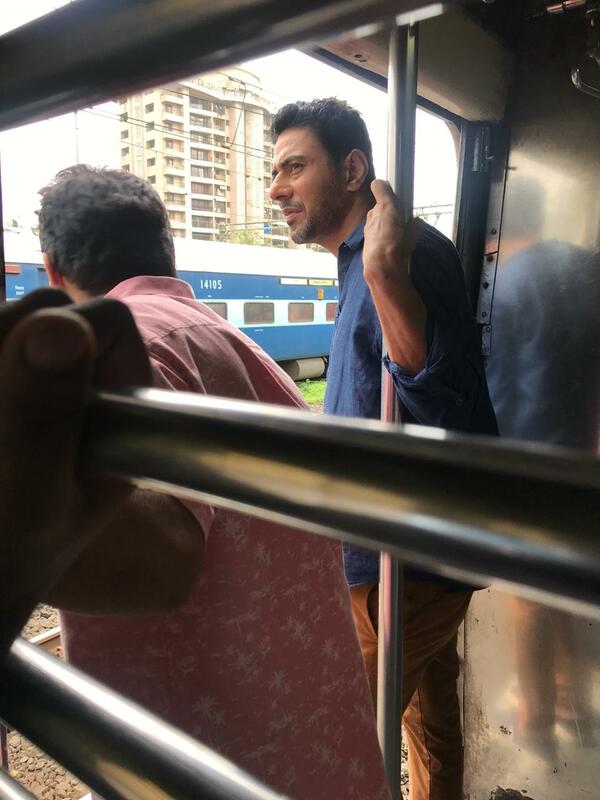 Mumbai isn't just a city, it's an emotion, to be experienced, to be felt, to be lived. A city that floats on a sea of dreams. Yet, it's grounded and bound by time. 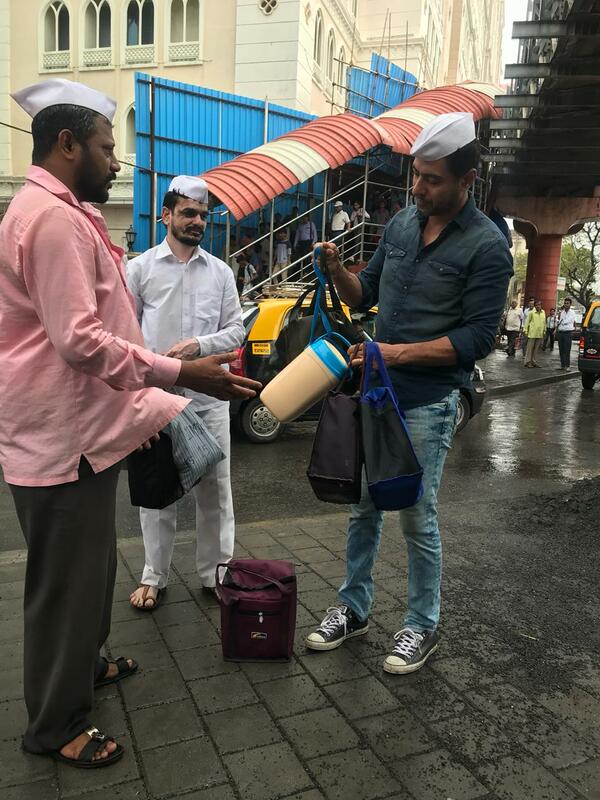 From the Koli community, the first inhabitants of the city to the incredibly precise Dabbawalas, to the myriads of people who are constantly on the move and above all the trains, time is a major factor that binds all. 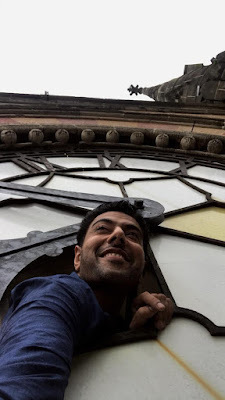 I had a golden opportunity of visiting the CST and seeing it from within as I had never seen it before. It's a marvel of architecture built in Indo-Saracenic style. CST was the erstwhile headquarters of the Great Indian Peninsular Railway, that operated the first passenger train between Bori Bunder and Tannah(or Thane). The UNESCO heritage site houses a brilliant museum as well. It caters to both long distance and suburban trains. The chief highlight of the building is its 130 years old clock tower, a heritage symbol of this time-bound city. Its keeper, Bharat Mahendra Singh ji took the baton from his father and has been ensuring that the clock remains an accurate reference to all who lift up their eyes to check time. 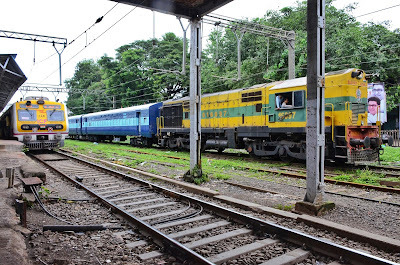 Trains form the backbone of the ever-on-the-move Mumbai. They don't just get people from point A to B, but make sure life goes on unhindered, whether you are a school/college-goer, heading to your place of work, a dabbawala..the list is endless. The suburban trains alone ferry across nearly 6 million people everyday. From the iconic CST to the all-women staffed Matunga station, to all the guards, engine drivers and station staff, here's my big salute to the hands that keep Mumbai going like clockwork. Jab tak rahega Samose mein aloo..
Who can say No to a Samosa? Of the many ingredients and dishes Indian cuisine and palates opened up to, Samosa easily remains the favourite culinary immigrant. The Sanbosag, Sambusa or Samboksa made its way from Central Asia to the Indian subcontinent around the 13th-14th century. The dish easily gained popularity with royalty and commoners alike. What's interesting is the innumerable variations of this humble snack that exist in regional cuisines around the world. While the ubiquitous potato-peas filling remains popular in most of the Indian subcontinent, the Goan and Portuguese style, called Chamuças, comes with a meat-filled stuffing. In Bengal, both sweet and savoury variants are popular as Shingaras. 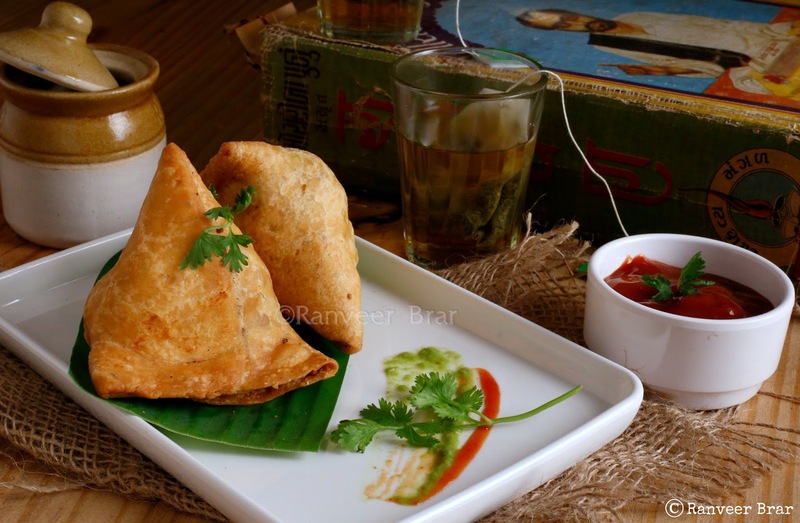 Southern Indian samosas come with a typical filling of carrots, cabbage, curry leaves and seasoned with regional spices. Going global, the ones available in Arab countries, called Sambusak come with a variety of fillings ranging from chicken to onions, feta cheese to spinach, even. The Maldives version, typical to the seafood influence is made with fish and onions. Sambuus, made with a thinner pastry dough are a specialty around the East African peninsula. Variations, fillings and culinary stories abound...And the samosa will forever remain in our hearts! What's your favourite filling? Summer and Monsoons bring back several fond memories for me, one that stands out, is Jamun season. 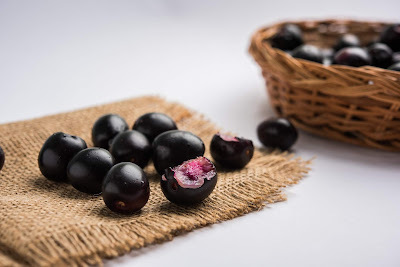 Munching on the salted tangy fruits on the way back home from school, stained shirts, chewing on the jamuns till the piths were bare and comparing purple coloured tongues would be, I am sure, childhood memories many of us share. Jamun, Black plum or Jambu Phalinda (Sanskrit) is native to the Indian subcontinent. Our Puranas mention the division of the seven continents in which the Indian subcontinent is referred to as “Jambudweep” or the island of Jambu/Jamun trees. Hindu and Buddhist texts place Jamun trees at the centre of the Universe. Hindu mythology places it as the favourite fruit of Lord Krishna, making it a popular buy during Janmashtami. It’s also (or at least used to be) typical of Lutyen’s Delhi. Jamun is the first fruit of the monsoon season. The trees grow well in a broad range of soils, can grow up to 30 metres in height and live up to 100 years. Ibn Battuta, the famed traveler mentions the trees in his travelogue too, Travels in Asia and Africa, 1325-1354. Jamun has immense value in the Ayurveda and Unani systems of medicine. The fruit, is a great source of iron and Vitamin C and known to treat ailments of the heart and liver. It’s also used to treat stomach disorders and its seeds are of special use for keeping blood sugar in control. Jamun is also a popular source for making wine and vinegar. Adding salt to the jamuns is another stellar example of contrast in flavours, something that I believe, Indian cuisine excels at, at every level. Salt beautifully balances the astringency of the Jamuns and assists in the hydration process as well. 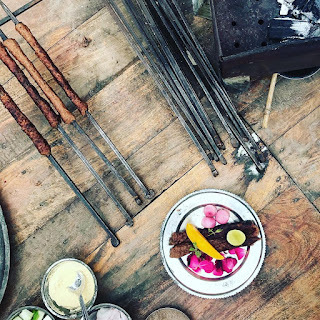 In this day and age where we are obsessed with superfoods and exotic berries, go ahead and bite into some Purple magic – for nostalgia and good health..
As a true blue Lucknowite and a chef, a familiar query or point of conversation that I inevitably attract is about Biryanis and Kebabs. Given, my heart will always beat a little extra for the Lucknowi Biryani, but let’s save that spicy conversation for another day. Let’s talk about Kebabs today. 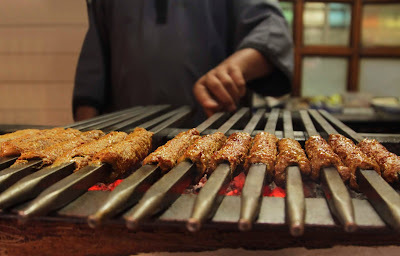 A gift from Turkey & Persia, Kebabs made their way through via the Silk route & what happened next was what we do best. A marriage of flavours, spices & techniques to make this dish a ubiquitous part of our cuisine. Mentions of Kebab-style cooking of meat however, go as far back as the Mahabharata era. Where the pre-Mughal kebab was more about marination & open grill cooking, basically more rustic in nature, the Mughal culinarians evolved it into a delicacy, enhancing them with spices, dry fruits & cooking techniques. Kebabs don’t just come with variations, they come with interesting foodfables! For instance, the Galouti or Galawat ke Kebab, a labour of love from the legendary Haji Murad Ali for the toothless Nawab, is synonymous with Lucknow’s kebab tradition, to the point of becoming a must-do on your itinerary. There are many more that deserve equal mention and respect. Let's talk about a couple of them close to my heart..
Kakori has its own claim to fame. Nawab Syed Mohammad Haider Kazmi’s chefs were instructed to make the seekh texture as fine as they could to counter a snide remark from a British guest. After much research and toiling the Kakori Kebab was born. The secret to the softness being the Maliabali Mangoes used to tenderize the meat. There’s another kebab which is always on my personal favourite list, the Dorra. A delicate kebab from Rampur with nearly a 200-year old recipe, its flavours stand out from the use of smoked meat, rare & exquisite spices and being cooked on a silken thread dabbed with sandalwood oil. The trick here is to cook without burning the silk thread & gently pull it off with a single tug before serving..
Aren't food stories the true spice of any dish? The Antinori family is truly the first family Of Italian wine legacy. Having started in 1385 as a family business this family has seen it all over the last almost 30 generations. The birthplace of Chianti Classico Tuscan wines and winemaking owe a lot to the Antinoris. 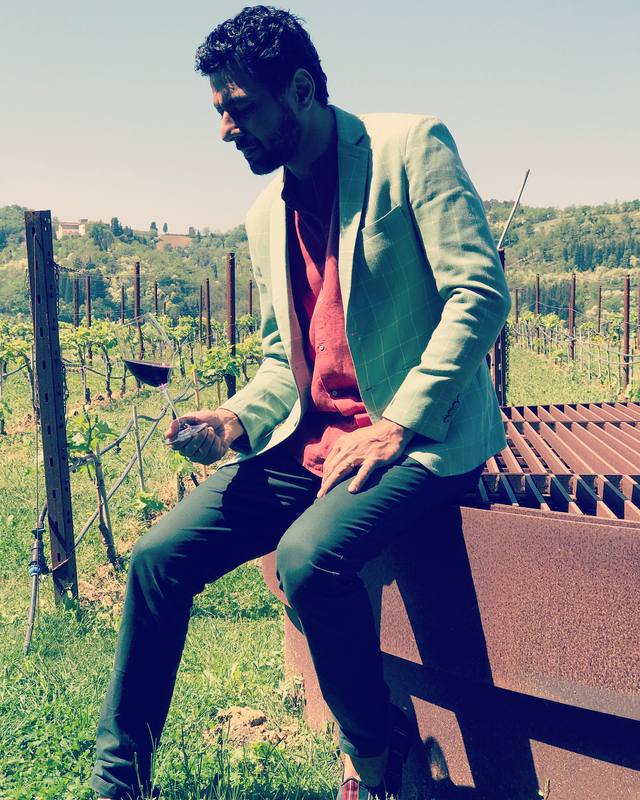 For the creators of Tignanello, which revolutionised wine making in Tuscany, to create a much hailed category Super Tuscan, a feat went a long way in bringing Italian wines back on the world map. Two traits of the family absolutely inspire me, perseverence and courage. Perseverance because they have seen it all, the wars the floods and the famines and yet stood the test of time making them timeless, just like the wine they produce. Courage because they were the first to defy norms and blend the sacred Sangiovese with non traditional grape varieties and age wine in small oak casks with almost no white grapes in the blend.